THE BEST SUMMER OF THEIR LIVES! Would you like to give your sons the opportunity to learn a language, make new friends and spend the best summer of their lives? INTEREUROPA idiomas offers you a great programme for your sons to live the experience of traveling abroad in a completely safe way, in fact, we take care of their supervision at all times, 24 часов a day, every день of the week. INTEREUROPA Idiomas is a study center specialized in teaching испанский as a foreign language. The school is in the Plaza del Ayuntamiento of Valencia, the best place of the city, in the historic centre of the Valencia. The school was founded in 1998 and since then, thousands of students have learned to speak and write испанский with us. Of course, we are accredited by the “Instituto Cervantes”, the most important institution for the teaching of испанский as a foreign language. Our way of working is dynamic and personalized. We are aware that learning a language is much more than studying grammar. Language is the pillar of a culture; it is a communication system, so it is impractical to memorize endless lists of grammar if you never put them into practice. Therefore, we propose a programme specially designed for our young students, so that they can make the most of their stay in Spain. We assure that all our students learn the language in an enjoyable way. Our programmes are constantly reviewied , not only the academic but also the activities, visits and workshops. This allows us to be at the forefront of education in every way. You do not have to worry about the safety of your sons: they will be always supervised by our school staff; Supervisors can either be the monitor-tutors, испанский teachers or host families. On the other hand, Valencia is a safe city, neither very small nor very big, in which there are no great dangers. VALENCIA is amusing, cheerful and full of life; Valencia is fire and magic. You will find in Valencia, a mixture of cultures and the legacy left by its inhabitants for over two thousand years. For that reason, the inhabitants of Valencia, those born here and those who have come from abroad, try to lead their life in the best possible way, and that is reflected in our character, in our city and in our испанский school. Of course, this is the main objective: students must to go back to their countries knowing испанский. Learn to fend for yourself. Students will always find themselves in a safe environment. 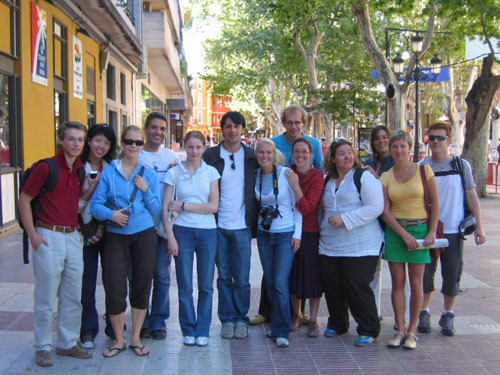 Valencia offers all kinds of cultural and leisure activities. It is a perfect city to learn a foreign language. Enjoy a different environment than usual. This enriches the spirit of young people. In addition, we put them in touch with nature by practicing different outdoor sports. It is a unique adventure that young people shouldn’t miss. Learn how to work in a team. In the specialized world of toдень it is important to learn how to work team, so we strongly focus on group activities where each student should get the best out of themselves and share it with the rest of the students. Each student must be responsible. Although they are supervised at all times, it is them who must behave correctly and who should deal with their responsibilities. Students meet other students from other countries. In this way they make new and true friendships that last for years. Every день is unique in the испанский language school INTEREUROPA. 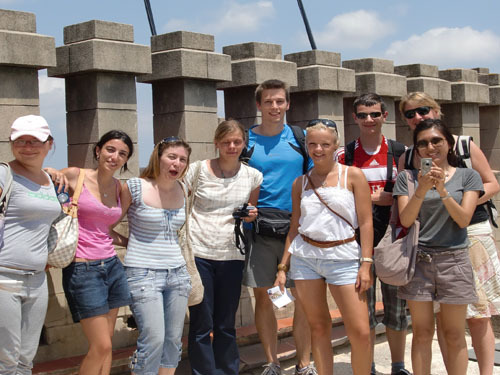 Classes, extracurricular activities … Everything is thought so that students can enjoy every minute of their experience in Valencia. Intensive general испанский course of 20 lessons per week. Different levels available from beginner to advanced. Placement online test before arrival. Курс material included in the price. Stays from one week upwards. Full board accommodation with испанский host families. A wide social programme that includes different cultural and sports activities. Certificate at the end of the course. Evening Students will have dinner at home and spend the rest of the день with the host famly. At INTEREUROPA idiomas, ​​we demand our teachers an university degree and a deep training in испанский as a second language and a wide experience as teachers. Our teachers will take care of the academic part of the stay. They will motivate students at all times with different activities inside and outside the classes. Our teachers ​​will take students in the wonderful adventure of learning испанский. Every день is unique in the испанский language school INTEREUROPA. classes, extracurricular activities … Everything is thought so that the boys and the girls can enjoy every minute of their experience in Valencia. Every Saturдень the school arranges a full день excursion to nearby places in our region. On that день families, will give students a packed lunch to take it with them. On Sunдней Students spend the день with their host families. Supervisors are responsible for the different groups. Each group is assigned to one supervisor who will be available 24 часов a день for any need. Students will be attended 24/h a день if needed. 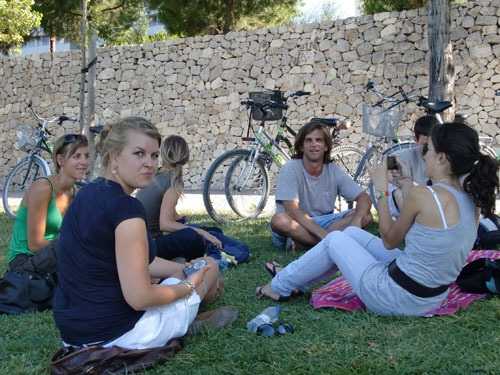 The continuous supervision of our students is one of the strongest commitments of INTEREUROPA languages. It is very important to us to work with professionals. We want you to be completely sure that your children are with people who have passed an exhaustive selection to get the job. We know that these people are going to be in the care of your children; therefore, we make sure that every one of them has the proper training and a curriculum that satisfies all our expectations regarding their work experience. An authentic language immersion should include accommodation with host испанский families. By practicing the language daily, students will learn it faster and it is also a key to understand испанский society and culture. With a host family, learning is much more dynamic, faster and much more fluid. Students will feel like at home, but speaking испанский. All our accommodations are selected according to quality standards imposed by the school which provides an optimum level of comfort, cleanliness and good communication (walking) with Intereuropa (historic city center). On the arrival day, the students are picked up at the airport or bus station and taken to their accommodations. On the first day, host families will take the students to the school and will show them the way back home. All our families are in good areas of the city and a maximum distance school-family is 15/20 minutes on foot.